Engraving by René Boyvin?, 22.8 x 15 S (New York). Robert-Dumesnil, VIII, 1850, 31-32, 27, as Boyvin after Rosso. Le Blanc, 1854-1888/90, I, 506, 18, as Boyvin after Rosso. Destailleur, 1895, 277, no. 1149. Linzeler, 1932, 171, as Boyvin. Levron, 1941, 74, 176, as shop of Boyvin after Rosso. COLLECTIONS: Amsterdam (De Jong and de Groot, 1988, 283, 628, as Boyvin or Milan, after Rosso). New York, 32.92.27(6). Paris, Ed 3, in-folio, and Supp.n.rel. Renouvier, II, 1854, 191, reported Mariette’s attribution of this composition to Cellini. Destailleur, 1895, 277, no. 1149 (New York impression), as Boyvin after Rosso. Kusenberg, 1931, 161, as Boyvin after Rosso. Thirion, 1971, 46, n. 91, as Boyvin probably after Rosso. Zerner, in EdF, 1972, 322, no. 433, ill. 334 (Paris, Ed 3), as anonymous, perhaps by Boyvin rather than Milan, and as after Thiry. K. Wilson-Chevalier, in Fontainebleau, 1985, 115-116, no. 63, Fig. (Paris, Ed 3), as by Boyvin or Milan after Thiry. Fuhring, 1989, 333, the design convincingly given to Thiry by Zerner. Brugerolles and Guillet, 1994, 104, Fig. (Paris), as Anonymous after Thiry. 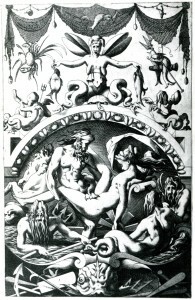 According to Robert-Dumesnil (VIII, 1850, 32, n. 1), Mariette stated that if the design of this print is not by Rosso, it is by Cellini. 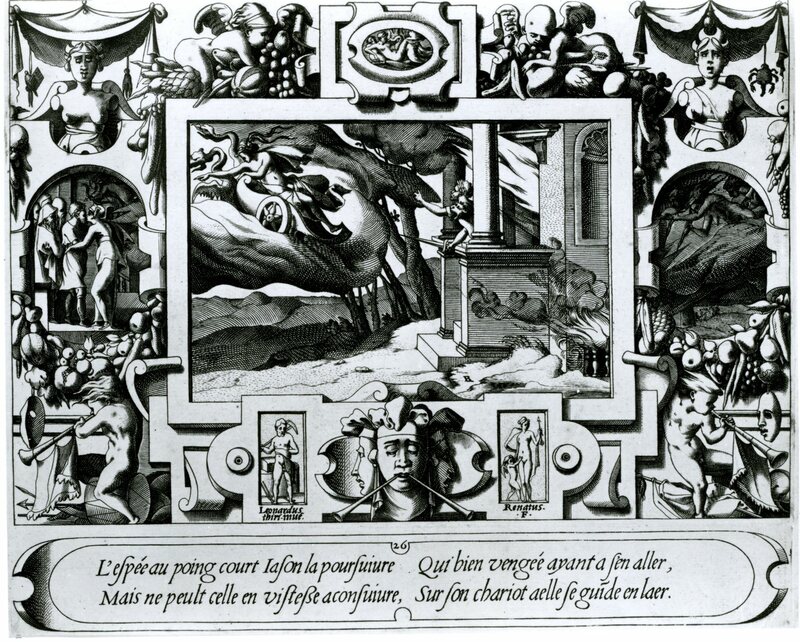 The traditional attribution of the design to Rosso was not mentioned by Linzeler and is stated as probable by Thirion. 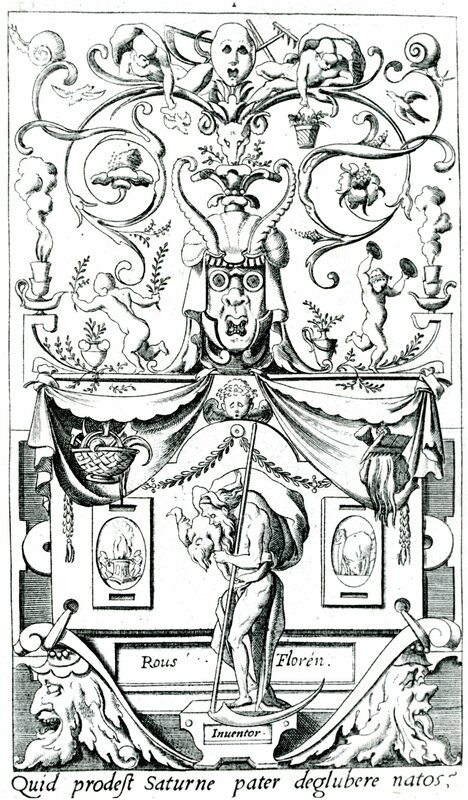 Zerner’s attribution of it to Thiry, accepted by Wilson-Chevalier, is very likely given the close correspondence of its style to that of his designs of the Story of Jason engraved by Boyvin (RE.15; Fig.RE.15, 26), and of his designs of the Panels of Ornament with Pagan Divinities, which have been attributed to Boyvin as the engraver (RE.14; Fig.RE.14, 1). Both of these sets are inscribed with Thiry’s name, which in a later state was replaced with Rosso’s. 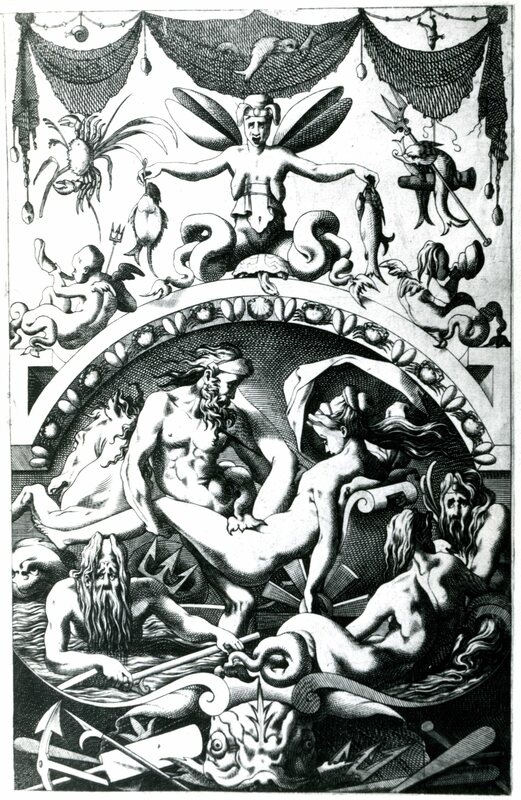 The anecdotal naturalism and somewhat woeful humor of the Neptune and Thetis are not characteristic of Rosso but are typical of Thiry’s transformations of Rosso’s art.